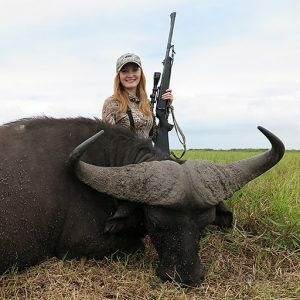 Zambeze Delta Safaris Anti-Poaching | The poachers now more than ever know, if you poach in Coutada 11, there is a big chance you are going to be caught. The poachers now more than ever know, if you poach in Coutada 11, there is a big chance you are going to be caught. Please watch the video. Any help that you could give us would be greatly appreciated and well worth it! For as little as $1 per day you can be part of this incredible success story and help conserve the wildlife populations of Coutada 11 in Mozambique. To run our unit successfully it costs $200 per day. It stands to reason that a poacher would far rather poach in a game rich area rather than a depleted one, so with the explosion in game numbers, the job hasn’t become any easier. In fact we are now arresting more commercial bush meat poachers rather than subsistence poachers, and most come from outside our Coutada. We have a 12 month presence in the area. Craig is passionate about “His Unit”, an attitude which has rubbed off on his rangers. New tactics and plans are discussed on a daily basis. Ambushes are set and areas patrolled. 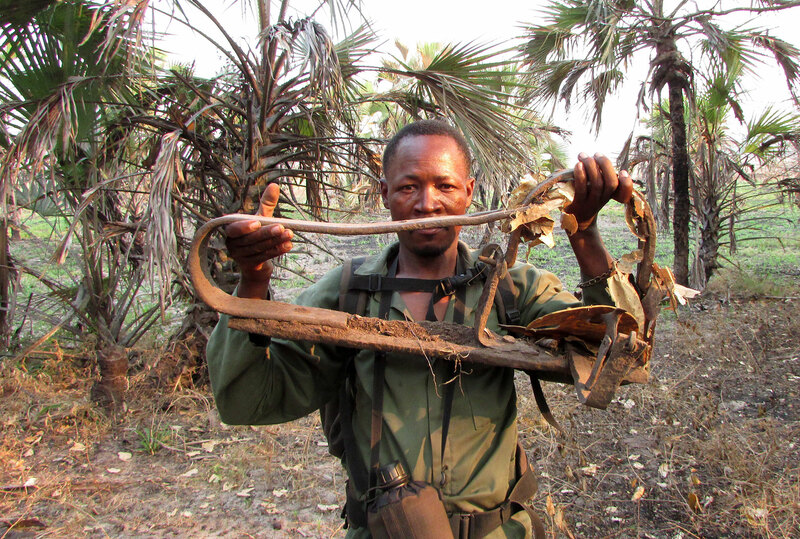 The poachers, now more than ever, know if they poach in Coutada 11, there is a big chance of being caught. Craig’s unit is mobile, with a Land Cruiser and a Bike squad. Our motorbike unit is a quick reaction unit. 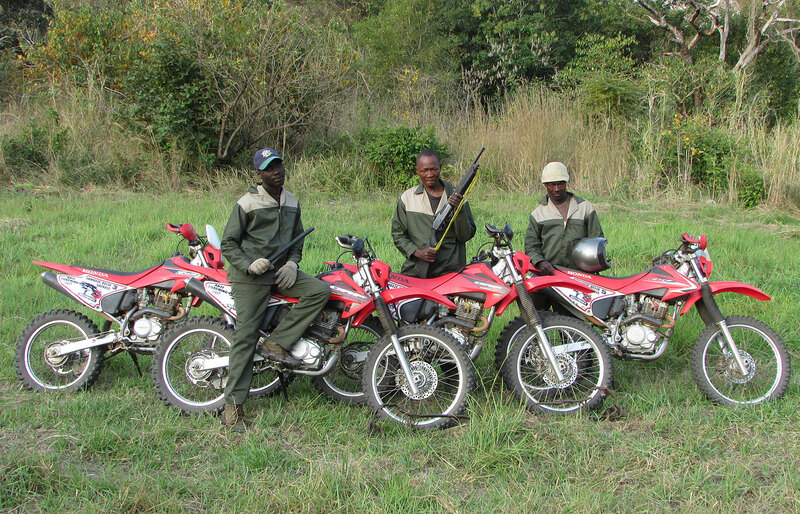 It consists of 5 bush bikes with 4 rangers and Craig. They are able to follow foot paths and access areas that you can normally only get to on foot. They are also able to cover a very big area in a day. Another advantage of this unit is that if a PH sees any sign of poaching he can radio in and within 30 minutes the unit can be deployed. The rest of the unit do daily foot patrols and frequently set ambushes primarily targeting the routes used to take the meat out of the area. In addition to salaries, the rangers receive a reward for each gin trap brought in (about 50% of the street value). We now see less and less of these cruel devices. 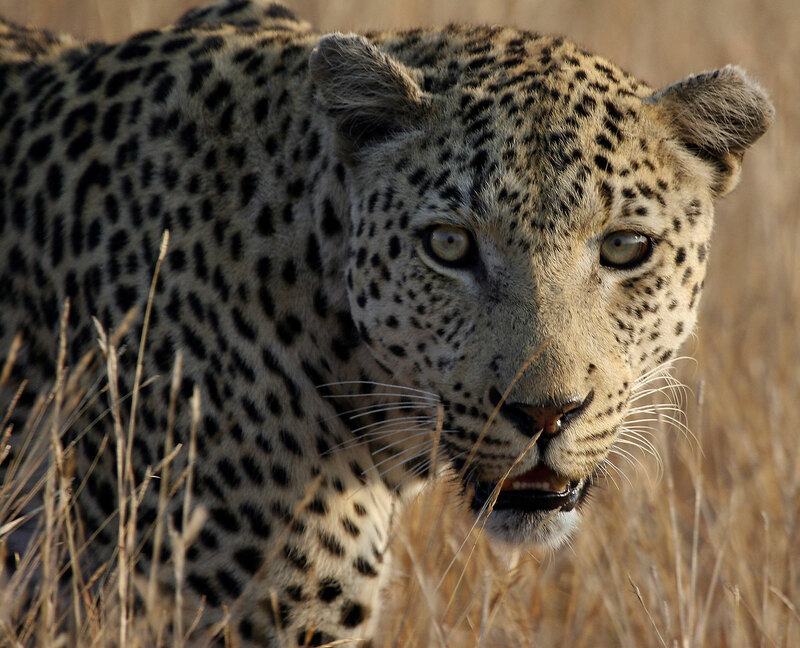 Very welcome news is a toughening up on the Mozambique game laws pertaining to poaching. Said to be implemented shortly, convicted poachers will face jail time of 2 to 8 years. Thanks again for your support. Should any of your members or friends be in our neck of the woods, a cold beverage and a warm bed will always be available. This unit, whilst effective, comes at a rather large cost – salaries, vehicles, fuel and equipment all add to it. To date, many of our clients and notably SCI – Hill Country chapter have assisted us with donations. Last year we held our first anti-poaching fund raiser. We auctioned off items donated by our clients and friends. Their kindness and generosity were overwhelming, and many articles were sold above cost price. We were able to raise $49 000-00. Each day costs $200 to run the anti-poaching unit effectively. In addition to salaries, the rangers receive a reward for each gin trap brought in (about 50% of the street value). We now see less and less of these cruel devices. There is a strange irony in all of this. 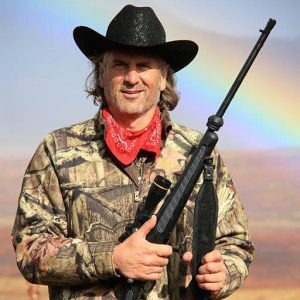 Whether we are hunters, anti-hunting, or neutral on the subject, if we exist today the reality is that we are descendants of an ancestor who was a highly successful hunter. Only the strong survived. Whilst many modern humans have lost it, thank heavens, for the sake of conservation, the hunting gene is still strong in some of us. Despite cries of foul play by those critical of the profession or sport, the facts and figures speak for themselves. The most successful comeback of wildlife in the past two decades has been funded by hunters and hunting revenue. The success story can be found in the Zambeze Delta. Zambeze Delta Safaris operating in Coutada 11, has arguably the most successful modern day anti-poaching unit to be found anywhere. 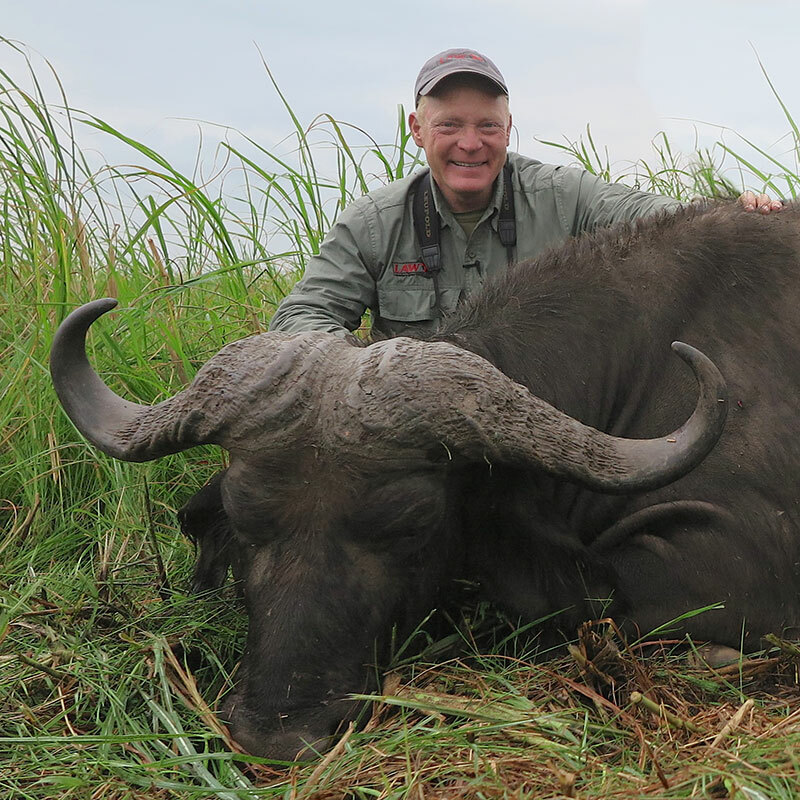 In an attempt to learn from the Delta and the contributing factors of its success, Craig Boddington and Conrad Evarts, along with the Zambeze Delta Anti-Poaching Team, are planning the production of a six part television show. They want to tell the story of the often unsung heroes of conservation which is this anti-poaching unit. The documentary will demonstrate how they operate, their methods and the incredible comeback of wildlife in the Zambeze Delta. There will be a strong emphasis on how hunters like you and I have made this possible. Please take four minutes to watch the clip below. Any assistance in promoting this vital information would be greatly appreciated. Please forward to like-minded friends or post on Facebook. This is an exciting project for conservation in action - promoted by hunters and hunters alone. View this campaign on Kickstarter by clicking the below Kickstarter logo. I’ve been fortunate to ramble across a lot of Africa in the last 35 years. I’ve loved it all, but I’ve seen a lot of great game country that isn’t so great any more. The only area I’ve seen in wild Africa that is better today than it was when I first saw it is Zambeze Delta Safaris’ country near the Marromeu Reserve. 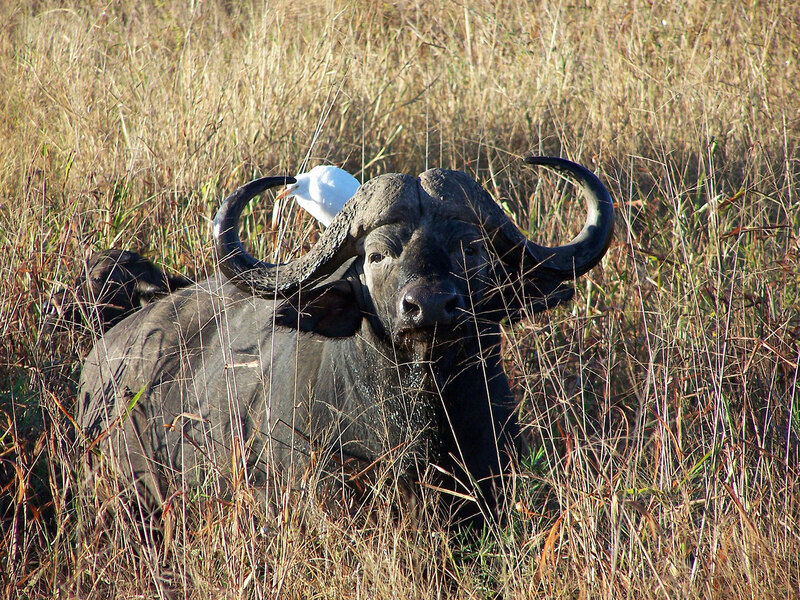 This miracle of management has happened for two reasons: proper utilization of a sensible game quota, and a sound, extensive, and aggressive anti-poaching program. 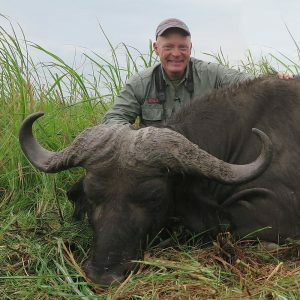 Like so many Zambeze Delta Safaris clients, I am contributing to the continuance and expansion of this anti-poaching program, because I want Africa’s wild game to roam freely long after I’m gone. Zambeze Delta Safaris is working toward the best future I have seen for African wildlife in wild Africa. Over the last 25 years I have travelled extensively through most of Africa’s top wildlife countries and I have seen a vast number of different concessions. 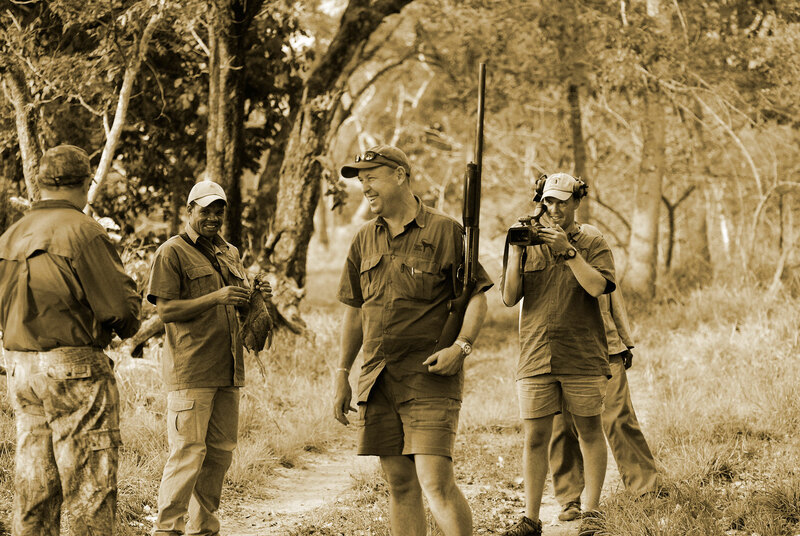 I have seldom come across the level of efficiency with which the Haldane brothers conduct their anti- poaching – the dedication to their area is incredible and the amount of money they pour back is evident in the vast numbers of species that one encounters. Truly they have created one of Africa’s great wildlife success stories and I am excited to see what they do into the future. 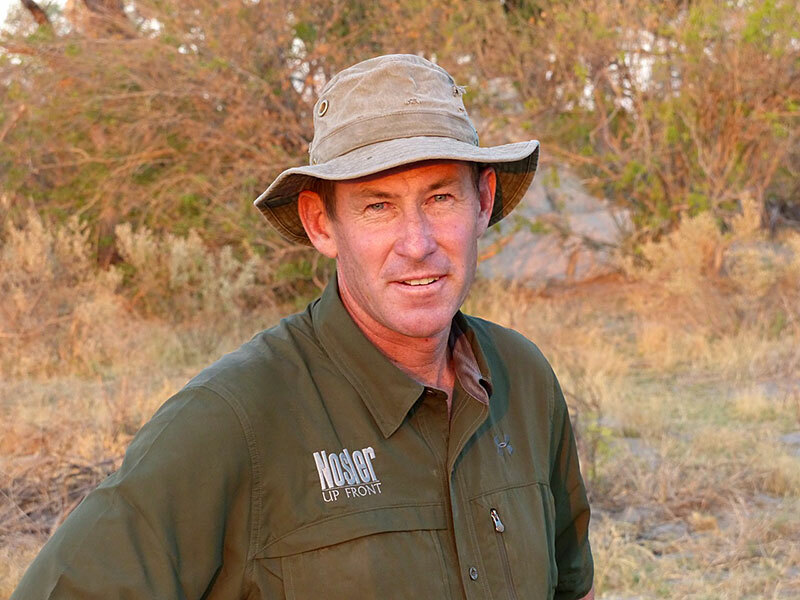 Mark Haldane’s anti-poaching efforts are not only commendable, they are absolutely necessary if we are to have any hope of our grandchildren seeing the Africa we all love, with Cape Buffalo and Waterbuck, Zebra and Reedbuck and so many more species of big game roaming numerous, wild and free across the Delta. 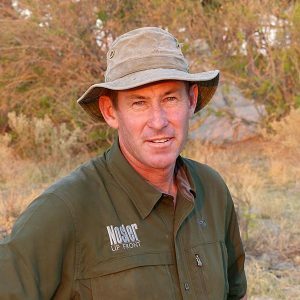 Mark has shown that his “anti-poaching” model works, and more importantly, can act as the template for the rest of Africa. This cause is worth supporting by all hunters…it must be supported. I was very impressed with the anti-poaching unit established by Zambeze Delta Safaris. Unfortunately poaching remains a serious problem in many areas but with the help of hunters this anti-poaching unit is making huge strides toward resolving the problem in their area. 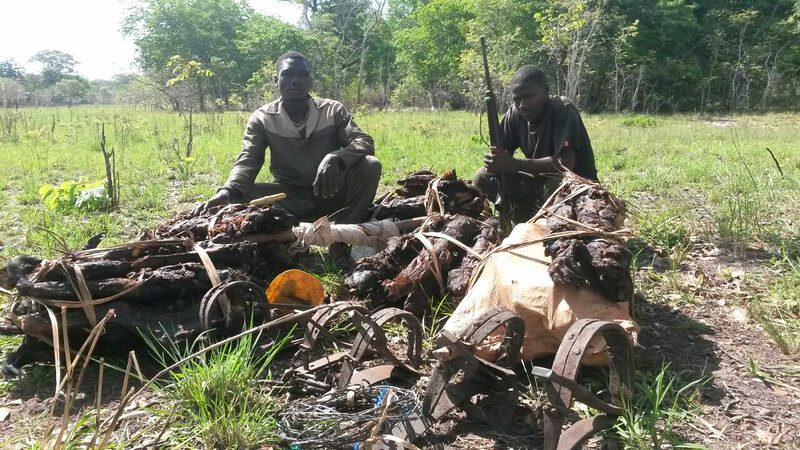 I personally witnessed poachers voluntarily turning over their traps due to the smart tactics of the unit. 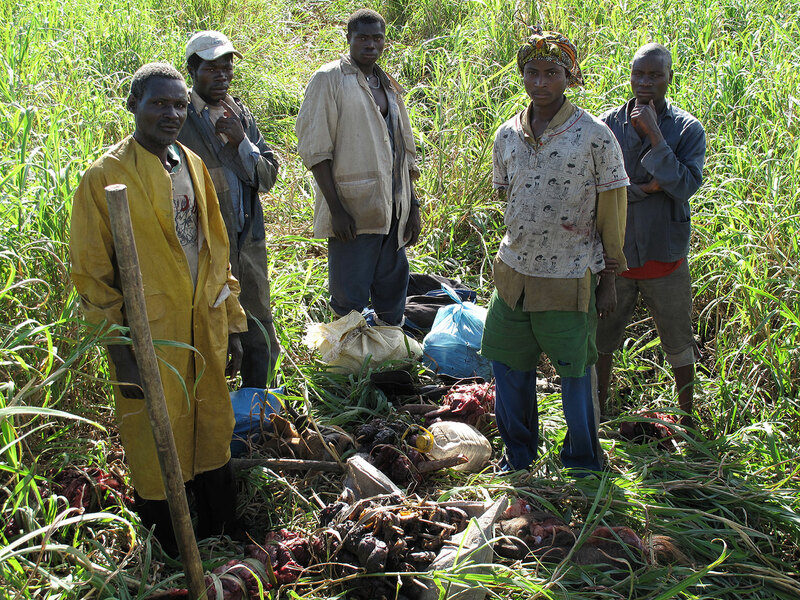 The meat drop to the villages keeps the people fed and happy and if a poacher is caught from a certain village then the entire village loses their meat drop. 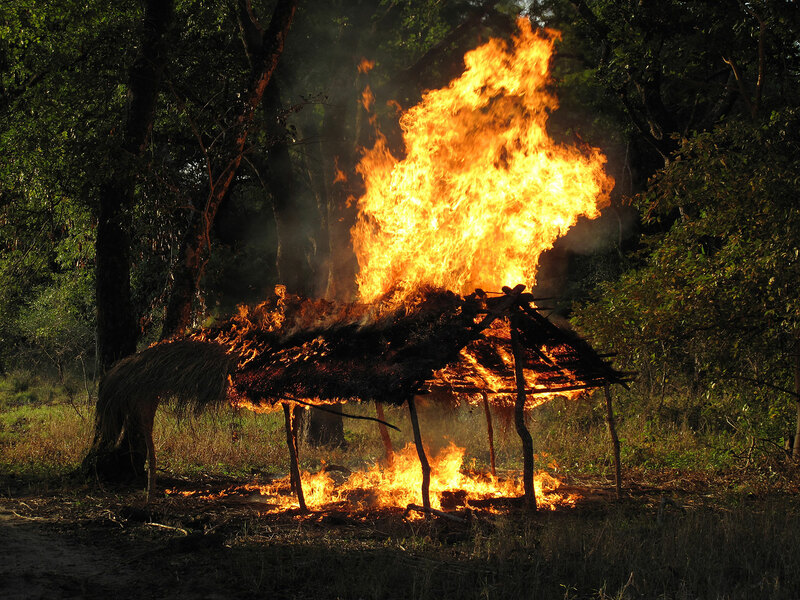 This causes the village to pressure their members not to poach. It is our responsibility as hunters to help preserve hunting areas for future generations and helping this anti-poaching effort is one great way to get involved!